This blog focuses on the world of prospect research and various related fundraising topics. To diversify our subject matter, we like to feature the work of our friends and colleagues in the community. Join me in welcoming Mary Cahalane of Hands-On Fundraising and please enjoy her post on mid-level donors. They’re the stalwarts of your annual giving program. They’ve been giving for years. They’re obviously committed. So how well do you really know your mid-level donors? I can’t tell you how to define “mid-level”. Just like “major gift donor” it will depend on your organization’s size and donor base. But if you take a good look at your list, you’ll know who they are. Not your biggest donors – who are hopefully being engaged as major donors. 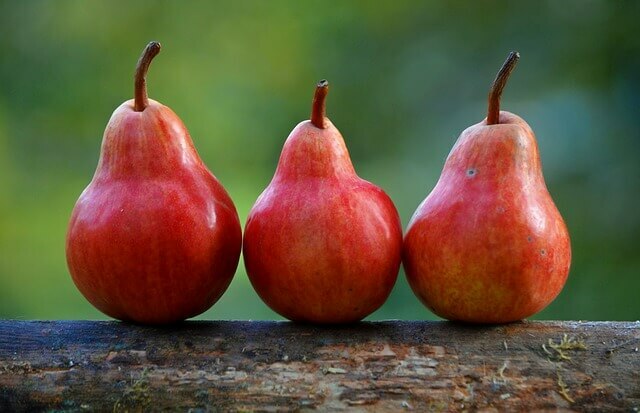 Not your smaller donors – though your smallest donors may be very loyal. And I’m a huge fan of recognizing loyalty at any level. They’re the donors in the middle of your file. They might be new, or among your longest-giving donors. And you’re losing money if they’re not getting special attention. Jeff Schreifels of Veritus Group explains why in this post. He tells us that mid-level donors are very loyal. They make your direct response program strong (you’d need a lot of $25 gifts to make your goals, right?) And they may be your future major donors. Mid-level donors are definitely a hybrid. They’ll fall somewhere between the high-touch care of major donors and your direct response program. And that’s how you’ll need to treat them – a little of both. Begin with your database. Find the mid-point and select a group of donors whose giving hovers near that. Start your mid-level program with these donors. But don’t stop there. Mid-level donors may be hiding among your smaller donors. Do a little sleuthing. Then look below your mid-point and create a special solicitation. Offer a great case (why should they give more? ), a more personal touch (first class stamps, hand-written notes, an upgraded response device) and a higher ask. You may find people who were just waiting to be asked to give more! Offer them their own representative. Veritus recommends something I’d done years ago – offer these donors a personal representative at your organization. Designate someone on your staff to be their contact – to answer questions, to sort out problems, to listen. This is a win-win because you want these donors to be in touch! Upgrade their recognition. Gratitude matters. Call the day you receive their gift. Have a board member thank them as well. Just because they have a personal contact at your organization, don’t wait for them to call you. Call them just to say thanks. Send them notes from time to time just to let them know how appreciated they are. Improve your reporting to keep your mid-level donors informed. While their gifts might not reach the top levels, they care. And they also talk. Their passion might not be matched with the means to give more. But it can easily communicate itself to others who might be interested in your work. Appeal to them more personally. Add handwritten notes to your direct mail appeal. Offer them special projects or giving opportunities. (Bloomerang suggests monthly giving is a great way to upgrade donors into this group.) Make it social. Create a special group for mid-level donors (give it a name). Offer an event just for them. It doesn’t have to be fancy. The social connections they make via your organization will strengthen their ties to you. Keep communicating and offering chances to give. Don’t just count on their loyalty. And don’t assume more attention means they won’t want to hear from you as often. They’re not major donors, and they won’t have that level of personal attention. Keep them in your solicitation plans – just make their communications more personal. Ask them for their opinion about your organization and about how they’re being treated. Don’t stop communicating! Don’t let them be the forgotten middle. Middle children often complain that they get less attention. In the same way, mid-level donors can get lost in the middle. Make the effort to identify these important people. Then treat them as valued partners in your work. You’ll be building a stronger, more loyal program for your organization. After 30 years in the nonprofit world, Mary still approaches her work hands-on. She is a nonprofit fundraising consultant, copywriter, and blogger. She has worked for major regional theaters and community-based organizations. Mary has also consulted with a variety of nonprofit organizations. During those years, she has built successful fundraising programs. How? By focusing on great communications, planning and strong donor relationships. Learn more about Mary and the work that she does here!